Reigning champions Feyenoord came from a goal down to win their Eredivisie U19 opener against ADO Den Haag. Bart Nieuwkoop and Wessel Dammers scored the goals for Roy Makaay’s side that secured them a winning start to the season. Makaay hailed ADO Den Haag’s first goal and blamed his side for a slow start “A beautiful goal, only comes about from unnecessarily lost possession of us. I found that we did not start well anyway. Only after half an hour we were really in the game. “We were able to attack on the counter, so it was exciting. We had really great opportunities ADO did not. They were still mainly a threat from free kicks and long balls. 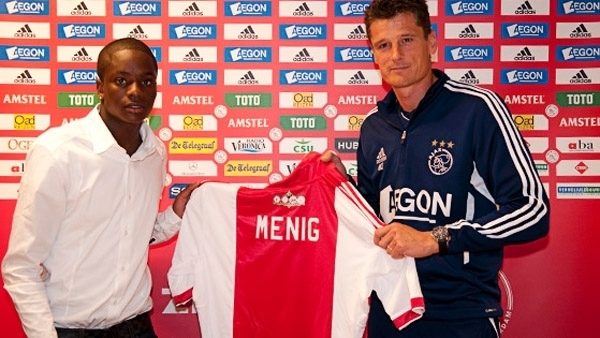 Queensy Menig grabbed a brace for Ajax. Ajax made a bright start to their season last night as they thrashed rivals PSV Eindhoven. PSV lost a man and played over 80 minutes with 10-men as a foul led to a sending off and Queensy Menig’s opener from the penalty spot. Menig grabbed a second and Sheraldo Becker grabbed a goal for a convincing win for the Amsterdam club, which sees them top of the league while PSV sit bottom. Ajax 3-0 PSV, Sparta Rotterdam 3-1 Vitesse Arnhem, Roda JC 2-2 Willem II, De Graafschap 0-1 AZ Alkmaar, FC Twente 1-0 Heerenveen, Feyenoord 2-1 ADO Den Haag, Groningen 1-0 Utrecht.